The Archdiocese of Philadelphia will auction off at least one of the Fiat 500Ls from Pope Francis' US trip last year. Fiat has announced a recall of 29,500 Fiat 500L hatchbacks in the US and Canadian markets due to concerns that the roomiest member of the Fiat range features knee airbags that won't deploy unless the occupant's seatbelt is fastened. Fiat is all set to ride some waves with its new 500L Vans Concept debuting at the Vans US Open of Surfing in Huntington Beach, CA, on July 26. Inspired by the famous shoe company known to skaters and surfers the world over, the hatchback is packed with seaside style and is ready to show it off at the beach. The web video might be the sitcom of the modern age as the main way people consume comedy. Even if you don't want to sit down and watch a TV show, you can dedicate just a few minutes for a laugh from a brief film. Fiat found huge success last year with its Backseat Italians ad for the 500L on Funny or Die, with over 1.6 million views as of this writing. So the Italian automaker is playing on its country's stereotypes again in a new online series called Neighbors. Fiat is really trying to push its five-door 500L, which has gotten off to a rather disappointing first year of sales. The Italian brand's first big-name effort involved rapper P. Diddy and a pair of very unfortunate desert pedestrians. Now, it's gone even bigger (quite literally), teaming up with everyone's favorite, city destroying, radiation-breathing green lizard monster – Godzilla. Much like it did yesterday, Fiat Chrysler Automotive is announcing a voluntary recall of the five-door Fiat 500L. Where yesterday's recall covered Jeep and Dodge SUVs over performance issues with the brakes, today's bulletin is perhaps more serious. Fiat didn't run an advertisement during this year's Super Bowl. We've no idea why, though, because based on this recently released 60-second spot, the Italian brand probably could have done quite well during the big game. The saying goes that man cannot live by bread alone, and neither can automakers live by selling one car alone. This holds especially true for automakers with a budding dealer network to support, like the Fiat brand, which returned to US shores in 2011 after a 28-year absence. The company's single car to sell at the time was the Fiat 500, a cute retro rebirth of the original, iconic Cinquecento, which your toddler now calls Luigi thanks to Pixar. 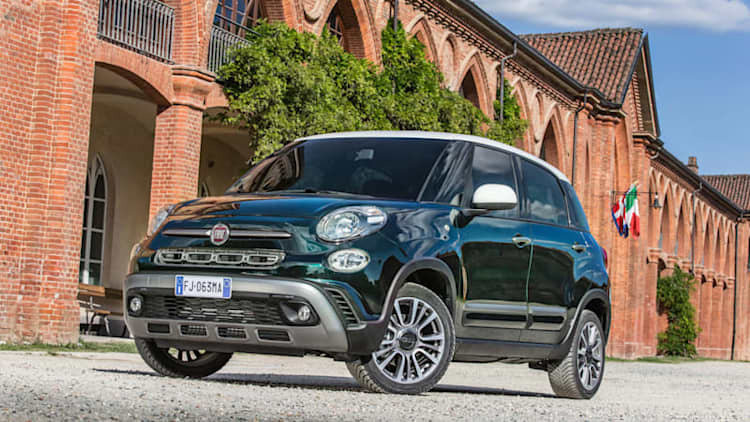 Fiat may be struggling with its 500L, but that hasn't stopped the Italian brand from bringing a pair of the larger five-door 500s to the SEMA Show in Las Vegas. News is trickling out of the Serbian factory that's responsible for Fiat 500L production that work has stopped due to a delay in parts delivery. Fiat has been mum on the reasoning for the stoppage, which is going on its tenth day, according to Automotive News. "Production ceased on Wednesday and we still don't know when it will resume," said a spokesperson for Fiat's Serbian operations. SEMA is all about aftermarket parts, and in Auburn Hills that all comes down to one name: Mopar. After having previewed its lineup for this year's Vegas tuner expo earlier this month, Chrysler has now revealed what may not quite be its full dossier of modified show cars, but a good portion of them. As far as product portfolios go, Abarth is about as small as they come. 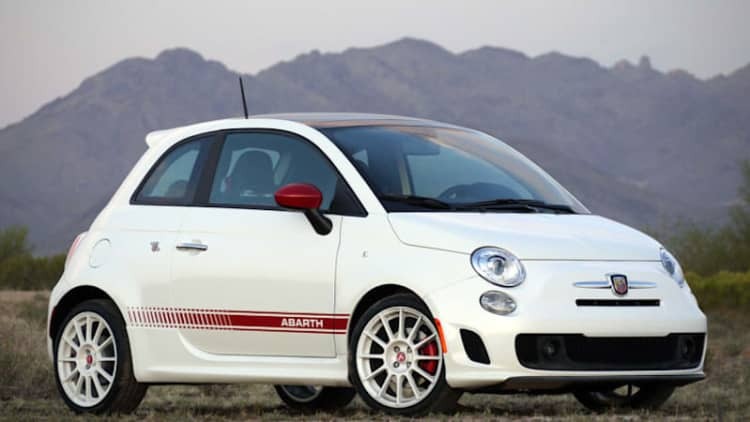 The performance arm of Fiat, Abarth bases its entire line on two models: the 500 and the Punto. And even within that, only the 500 is offered Stateside. But that could change.